Get the most competitive renters insurance quotes for your home, apartment, or condo. Does renters insurance cover loss of use or relocation expenses? Where can I compare renters insurance quotes? As one of the leading renters insurance agencies in Santa Cruz, we can answer those questions and help you find the best policy to protect your home and belongings. Storms, theft, fire — these are the types of events that can damage your possessions in a blink of an eye. The cost of renters insurance is far less than the amount it would take to replace your clothing, furniture, electronics, artwork, toys and other items you worked so hard to own. When we handle your insurance needs, you receive personalized service from a local agency that has proudly served home and business owners in Santa Cruz, Santa Clara, and Monterey counties for more than 35 years. Your landlord carries an insurance policy on your home, but it doesn't cover your possessions or your loss of use. If the unexpected happens, you might suddenly face replacing everything from furniture to electronics, and that can be financially devastating. That's where renters insurance comes in. Not only does it cover your belongings, it can even protect you from liability claims if a visitor is injured in your home. Additionally, if you're ever displaced from your home, you may also be reimbursed for temporary living expenses. 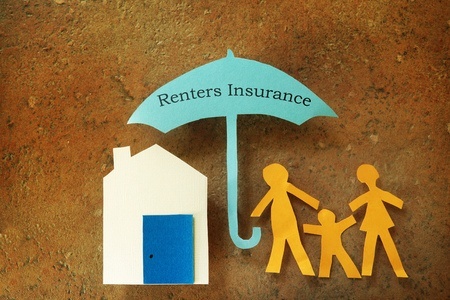 How Do We Help You Select the Best Renters Insurance? When you work with us, we explain the details and make sure you have a full understanding of different policies and what they cover. We take the time to get to know you so that we can determine what type of coverage you need. Finally, we provide comprehensive renters insurance quotes with transparent price comparisons. We get you set up so you can sleep easier knowing you're always covered in case the unexpected happens. Not owning your house, condo or apartment doesn't mean you can't enjoy the security of insurance. We're here to help. Our team offers 24/7 face-to-face customer service, so you never have to call an impersonal 1-800 number. We look forward to helping you protect your belongings with renters insurance tailored to your budget and your needs. Don't spend another minute without the right coverage. Give us a call today.